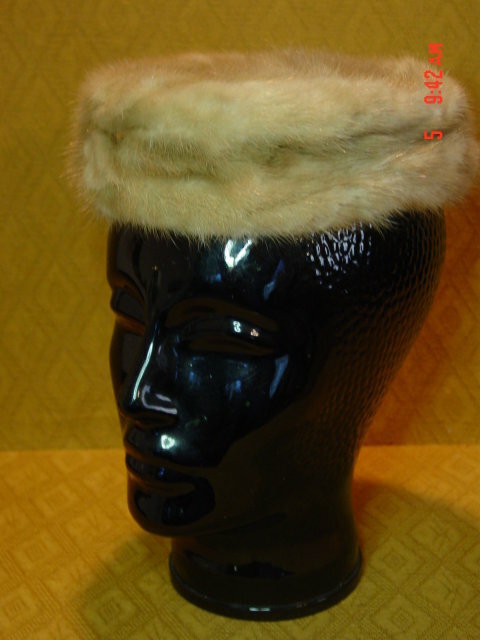 Vintage light brown mink pillbox hat. 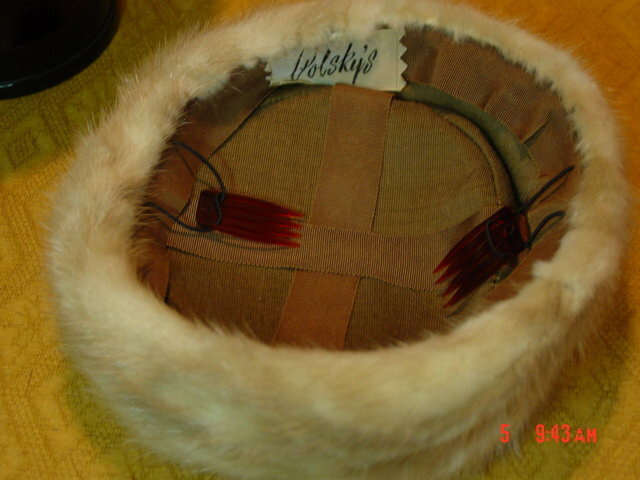 Inner band measures 20". Comb on black elastic attached to each side on inside. Great condition. Tag says Polsky's, which was an upscale department store in Akron, Ohio, that closed its doors in 1978 after 93 years in business. 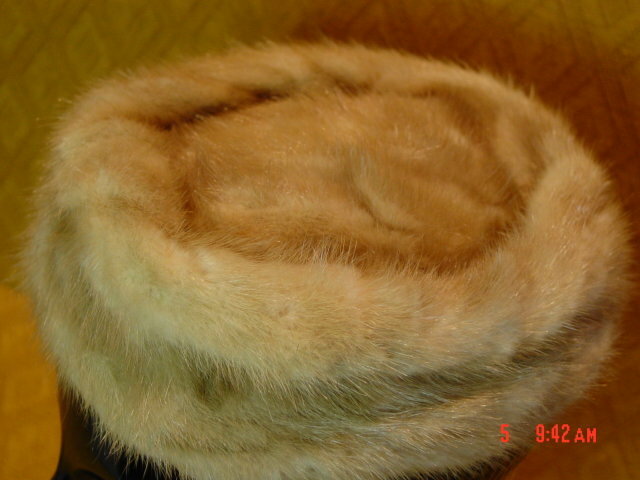 Items Similar To "Vintage Light Brown Mink Pillbox Hat"